At least 34 different #nutrients build, maintain and protect our body structures and systems and keep us healthy — and we can get them by eating the right foods. Although we are not necessarily suffering from vitamin/nutrient deficiencies that cause diseases such as scurvy or beriberi, most of us do take in insufficient levels of certain nutrients. “The majority of Americans who do not consume the recommended five servings of #fruits and #vegetables a day are likely to have suboptimal levels of certain nutrients that can increase their risk for important chronic diseases,” says Kathleen Fairfield, M.D., Dr.P.H., program director at the Maine Medical Center and author of a review on vitamins and minerals appearing in the Journal of the American Medical Association. According to the United States Department of Agriculture, Americans typically lack #calcium, #magnesium, #potassium and vitamins A, C and E. In addition, certain populations have low intakes of other critical nutrients, such as iron and vitamins B12 and D.
Why is our intake inadequate? So how can you tell if you’re not getting enough of a particular vitamin or mineral? “You can’t,” says Katz. “Blood tests reveal ‘overt’ vitamin deficiency, but routine tests will not show inadequate intake.” That means the only real way to find out is to keep track of what you eat over a period of time and go over the records with a registered dietitian. There are also software programs that analyze your diet to determine whether your intake is at or near recommended levels. How can you boost your intake to achieve recommended levels of key nutrients you may be lacking? If people aren’t going to change their eating habits, should they take supplements? Remember though, nutrients exist in a balance in our bodies. Too much of one can throw off levels of another. So get your health care provider’s approval before taking any supplement. Why You Need It: As a dietary antioxidant, vitamin E counteracts damage to your cells, reducing your risk for heart disease and cancer. In addition, it is important for the formation of red blood cells and muscles. And according to a review reported in the Journal of the American Medical Association, vitamin E and lycopene may decrease the risk of prostate cancer. If You Don’t Get Enough: True deficiency is rare, typically resulting from malabsorption. Symptoms of deficiency are usually neurological. How Much You Need: 15 milligrams for both men and women. Tolerable Upper Level: 1,000 mg for both men and women. Getting Enough: Many foods packed with this nutrient are also packed with fat and calories. Americans get 12 percent of their vitamin E from mayonnaise and salad dressing and 9.5 percent from oil. Oils containing higher amounts of vitamin E (sunflower, cottonseed and safflower oils) are not as popular. The same is true for nuts — almonds and hazelnuts are relatively rich in vitamin E; but peanuts and peanut butter, with lower levels of vitamin E, represent the majority of all nut consumption in the United States. Fortified cereals may be a good option for getting vitamin E without all the extra calories. Why You Need It: Vitamin A is important for proper vision, gene expression, cellular differentiation, growth and maintenance of healthy bones, teeth and hair. Vitamin A also promotes improved immune function, possibly by increasing the effectiveness of white blood cells, which fight infections. How Much: Vitamin A is found in animal foods as retinol and in plant products as the precursor beta-carotene. It is measured in either IU (international units) or RAE (Retinol Activity Equivalents). Men need 900 micrograms RAE or 3,000 IU; women need 700 mcg RAE or 2,310 IU. Tolerable Upper Level for retinol: 10,000 IU for both men and women. If You Don’t Get Enough: In the United States, vitamin A deficiency is most often associated with severe dietary restrictions and excess alcohol intake. Approximately 250,000 to 500,000 malnourished children in the developing world go blind each year from a deficiency of vitamin A. Night blindness is one of the first signs of vitamin A deficiency. In addition, vitamin A deficiency also diminishes the ability to fight infections and can reduce the health and integrity of skin and other epithelial tissues. Getting Enough: Liver, eggs and whole milk are good sources of vitamin A, but it’s also added to skim milk and other fortified products, like cereal. Brightly colored fruits and vegetables, such as carrots, kale, spinach and cantaloupe, have high levels of beta carotene, which your body will convert to vitamin A. Why You Need It: Also an antioxidant, vitamin C counteracts damage to cells from smoking and pollution and helps protect against cancer. It helps the body absorb iron, strengthens blood vessels and maintains healthy gums. Vitamin C is required for synthesizing important body compounds and chemicals such as collagen (an important structural component of blood vessels, tendons, ligaments and bone), norepinephrine (a brain chemical) and carnitine (assists in transporting fat). If You Don’t Get Enough: The classic but now extremely uncommon deficiency state related to vitamin C is scurvy, a condition characterized by gum disease, pain in the muscles and joints, skin lesions, fatigue and bleeding. Recent research also suggests that vitamin C is involved in the metabolism of cholesterol into bile acids, which may have implications for blood cholesterol levels and the incidence of gallstones. How Much You Need: Adults need 10 milligrams of vitamin C daily to prevent scurvy. This is the absolute minimum; some studies show a daily dose of 100 milligrams or more may be needed to maintain or maximize the body pool of vitamin C. Smokers have higher vitamin C needs. Men: 90 mg; women: 75 mg.
Tolerable Upper Level: 2,000 mg for men and women. Getting Enough: Fruits and vegetables, especially citrus fruits, are the best food sources for vitamin C.
Why You Need It: Magnesium seems to have a hand in almost all body processes. It’s the fourth most abundant mineral in the body, with 50 percent found in the bones. It helps maintain normal muscle and nerve function, keeps heart rhythm steady, supports a healthy immune system and keeps bones strong. Magnesium also helps regulate blood sugar levels, promotes normal blood pressure and is involved in energy metabolism and protein synthesis. If You Don’t Get Enough: Although magnesium intake in the United States is below recommended levels, symptoms of deficiency are rare. They run the gamut from loss of appetite and fatigue to seizures and abnormal heart rates. Some medicines, including certain diuretics, antibiotics and medications used to treat cancer, may result in magnesium deficiency. People with poorly-controlled diabetes, chronic malabsorptive problems such as Crohn’s disease, older adults and alcoholics are at increased risk for magnesium deficiency. Insufficient magnesium is associated with low calcium and low potassium levels as well. How Much You Need: Men: 400–420 mg; women: 310–320 mg.
Tolerable Upper Level (for supplemental magnesium, not magnesium from foods): 350 mg for men and women. Best Sources: Green leafy vegetables (e.g., spinach), some legumes, nuts and seeds and whole, unrefined grains are good sources. Why You Need It: Calcium is famous for building and maintaining strong bones, but it also plays a role in blood clotting, blood pressure and muscle and nerve functioning. Calcium accounts for 1 to 2 percent of adult human body weight. More than 99 percent of total body calcium is found in teeth and bones. The remainder is present in the blood, extracellular fluid, muscle and other tissues, where it plays a role in mediating vascular contraction and vasodilation, muscle contraction, nerve transmission and glandular secretion. If You Don’t Get Enough: Inadequate calcium can result in bone deformities, muscle cramps, hypertension and osteoporosis, a disease characterized by fragile bones and increased risk of bone fractures. It is estimated that more than 25 million adults in the United States have, or are at risk of developing, osteoporosis. How Much You Need: 1,000 mg for men and women ages 19–50; 1,200 mg for men and women ages 51 and up. Getting Enough: Dairy products are your best bet for calcium, but stick to low-fat or non-fat milk, yogurt and cheese. Why You Need It: Potassium is necessary for muscle contractions (including your heartbeat), transmission of nerve impulses and the delicate balance of fluid and electrolyte regulation. 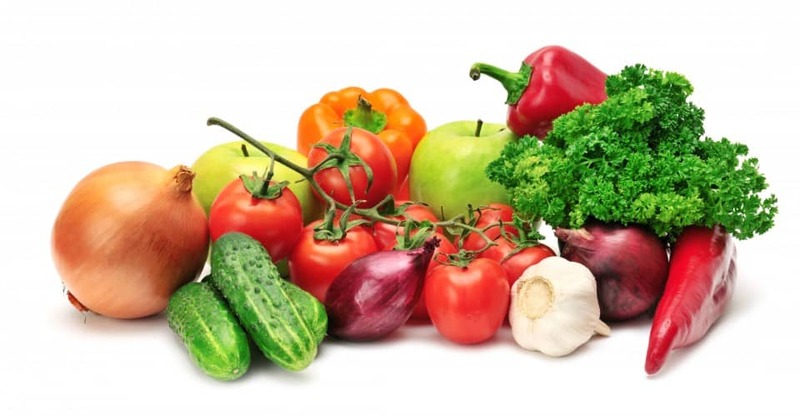 Diets rich in potassium lower blood pressure, blunt the adverse effects of salt on blood pressure (one in five Americans have high blood pressure), may reduce the risk of developing kidney stones and may decrease bone loss. If You Don’t Get Enough: Inadequate potassium can result in high blood pressure, stroke, congestive heart failure or other heart problems, weakness, depression and poor blood sugar control. How Much You Need: The Institute of Medicine has now set the adequate intake of potassium for adults at 4,700 mg per day — more than double previous estimates, and more than 90 percent of Americans are not meeting these recommendations. Keep in mind that many of these recommendations are based on new research and are not necessarily what a person might achieve with a typical “good” diet, which is why many experts recommend potassium supplements. Consult your physician before taking any supplements. Getting Enough: Currently, we get most of our potassium from milk (10 percent), white potatoes (9 percent) and coffee (7 percent). Potassium is found in a variety of fruits, vegetables and grains and is particularly high in potatoes and bananas. Why You Need It: Fiber is loaded with health benefits — it reduces your risk of heart disease and diabetes and lowers cholesterol. Plus, fiber increases stool bulk, which can help prevent not only constipation but also hemorrhoids and possibly colon cancer. How Much You Need: 14 grams of fiber per 1,000 calories consumed. Recommendations range from 30–38 grams for men and 21–25 grams for women per day. If You Don’t Get Enough: Inadequate fiber intake increases risk for heart disease, diabetes and constipation, and it may play a role in the development of diverticulosis. Getting Enough: Fiber comes from plant foods, so load up on whole grains, fruits and veggies. Beans are particularly high in fiber. Our weekly email news and research digest is everything you need to know about food, nutrition, fitness and health.